Sheldon makes reference as to how Albert Einstein was once a clerk at the patent office. When Leonard asks if he (Sheldon) is getting a job at the patent office, Sheldon replies that the patent office is in Washington DC, and he could never live in a city laid out in a hub and spoke system. The US PTO (Patent & Trademark Office) has been located for almost two decades in Crystal City, VA (part of Arlington County), and Arlington is laid out in a grid system. Sheldon Cooper: I'm attempting to view my work as a fleeting peripheral image so as to engage the superior colliculus of my brain. Penny: Interesting. I usually just have coffee. Q: Where did the morning coffee come from? The Einstein Approximation is one of the best shows so far. It shows Sheldon at his classic best. What I liked about this show was that Bernadette controls Sheldon ,not Penny. It is hard for anyone to control Sheldon and Penny does it with sarcasm. This series showed that it could be done in a positive way by Bernadette. I think Bernadette has earned her way into this show every week. I would like to have the writers create a relationship between Sheldon and Bernadette that would be dynamite since the chemistry between them is excellent. The show is beginning to flounder with too much repetition of certain things. For example Leonard's frustration with Sheldon has reached the point that it appears that he is so depressed that he just does not care anymore what happens to Sheldon or to his life in general. Penny and the other two main characters are becoming just too predictable that it is starting to become boring. 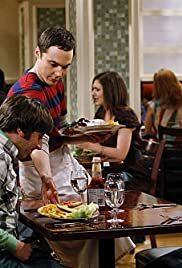 We need a new character on every show to interact with Sheldon and the rest of them to make it fresh and new and unpredictable and I think that character is Bernadette. 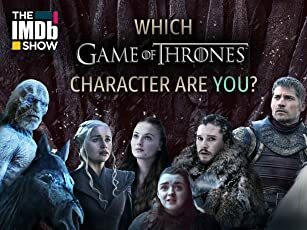 This show is great but lets not lose it.It needs new blood and now. More appearances by Leonard's mother would also help as she and Sheldon are dynamite together.